Is grooming new to your dog? Here's what they can expect during their time with us! First I will take time to greet your dog and build trust. 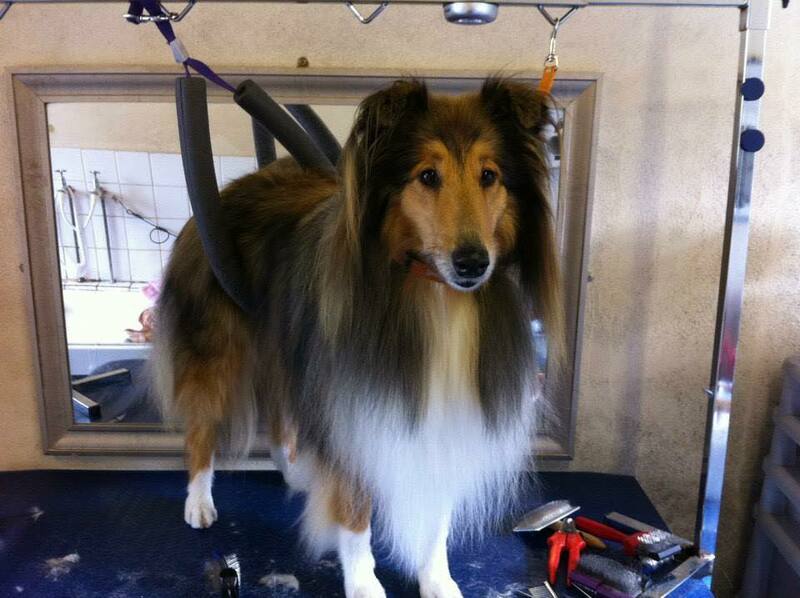 Then a nice bath with shampoo that is specifically chosen to suit your dogs coat and skin type. If there is a lot of hair to remove or the coat is matted, I may remove the bulk before drying and then tidy everything up after a fluff dry. Otherwise drying comes first and is tailored to the size and temperament of your dog…..no big, loud dryers on a tiny Yorkie at PoochPower! After drying, the coat is trimmed using clippers and /or scissors according to the style and your requirements. Lastly, the nails are trimmed. There are no cages used at PoochPower. Instead a large, open topped kiddie play pen with fresh water and a comfy bed provides a safe and secure resting place for if you have more than one dog. We only take dogs from one family at a time so if your doggy is nervous or just not keen on other dogs, you don’t need to worry. Get a free phone consultation now! 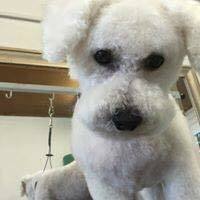 At PoochPower we offer you professional English-style dog grooming you can trust, for your four-footed friends in France.